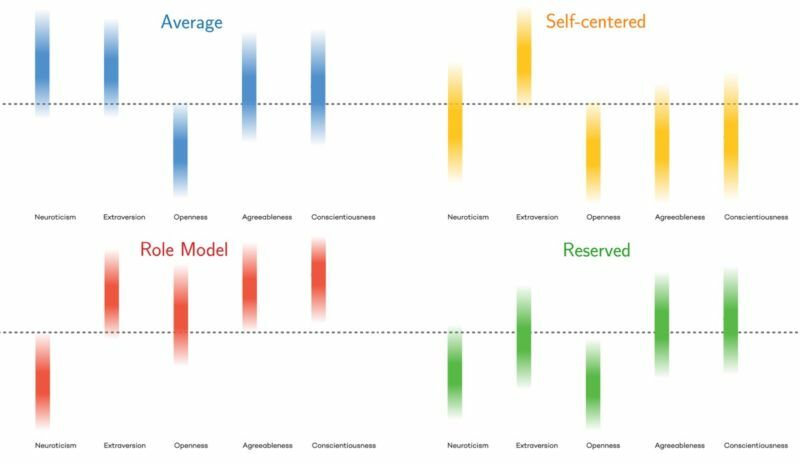 Scientists identify four personality types, Chances are you’ve had it. People love taking online quizzes; just ask Buzzfeed and Facebook. A new study has sifted through some of the largest online data sets of personality quizzes and identified four distinct “types” therein. The new methodology used for this study—described in detail in a new paper in Nature Human Behavior—is rigorous and replicable, which could help move personality typing analysis out of the dubious self-help section in your local bookstore and into serious scientific journals. Frankly, personality “type” is not the ideal nomenclature here; personality “clusters” might be more accurate. Paper co-author William Revelle (Northwestern University) bristles a bit at the very notion of distinct personality types, like those espoused by the hugely popular Myers-Briggs Type Indicator. Revelle is an adamant “anti-fan” of the Myers-Briggs, and he is not alone. Most scientists who study personality prefer to think of it as a set of continuous dimensions, in which people shift where they fall on the spectrum of various traits as they mature. What’s new here is the identification of four dominant clusters in the overall distribution of traits. Revelle prefers to think of them as “lumps in the batter” and suggests that a good analogy would be how people tend to concentrate in cities in the United States. The Northwestern researchers used publicly available data from online quizzes taken by 1.5 million people around the world. That data was then plotted in accordance with the so-called Big Five basic personality traits: neuroticism, extraversion, openness, agreeableness, and conscientiousness. The Big Five is currently the professional standard for social psychologists who study personality. (Here’s a good summary of what each of those traits means to psychologists.) They then applied their algorithms to the resulting dataset. The team used one data set on the first analysis and then replicated the same result on two other independent data sets, meaning their methodology is replicable—at least on similarly large datasets, which are much more common today, thanks to the Internet and rise of open access. “A study with a dataset this large would not have been possible before the web,” says Amaral.